Scott Swidersky serves in the role of Vice President, Enterprise Content Management (ECM) for Konica Minolta Business Solutions U.S.A., Inc. as well as President at DocPoint Solutions, an affiliate of Quality Associates Inc. (QAI). As a member of the executive leadership team, Swidersky is involved in the overall management and direction of the organizations. With more than 20 years of experience in the document management field, he holds a deep understanding of integrated solutions across the public and private sector. Scott Swidersky is also the director of the Information Systems Division at Quality Associates, the parent company of DocPoint Solutions. Quality Associates provides comprehensive, customized software, services and solutions that support all aspects of knowledge and content management. In this position, Swidersky is responsible for overseeing all of the division’s sales and marketing efforts and establishing and maintaining critical relationships with over a dozen manufactures within the company’s solutions network. In 1997, Swidersky played a key role in launching the Information Systems Division of QAI. Initially developed as a business process outsourcing (BPO) organization, the division quickly matured into a full-service systems integrator and value-added reseller (VAR). Within a few years, Swidersky established the division as a proven, reliable partner to organizations requiring innovative document/content management and electronic content management (ECM) solutions. Today, the division actively partners with, and receives awards and recognition from, the most widely regarded names in the enterprise document management field, including Kodak, Kofax, Fujitsu, and many more. DocPoint Solutions was founded by Swidersky and intents to leverage Swidersky’s management experience and his ability to successfully support complex IT integration efforts. Swidersky holds a bachelor’s degree from Jacksonville University in Jacksonville, Florida. He is an active member of AIIM. Michael Pitts is the Director of Programs & Contracts for DocPoint Solutions, an affiliate of Quality Associates Inc. (QAI). 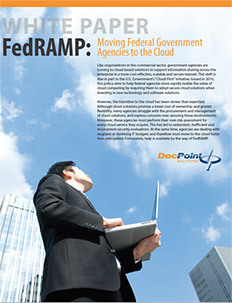 In this role, Pitts is responsible for growing DocPoint Solutions’ presence among federal government agencies. Pitts also serves as the Director of Programs & Contracts at DocPoint Solutions’ parent company, Quality Associates. At Quality Associates, Pitts is responsible for developing new business for Quality Associates within the federal sector, where the company serves agencies that include the National Institutes of Health, the Food and Drug Administration, and the Social Security Administration. Pitts joined Quality Associates in 2002 and has more than 25 years of experience in networking, programming, and systems integration. Before joining Quality Associates, Pitts spent 12 years with Universal Hi-Tech Development in Rockville, Maryland. There, he held various executive positions, including senior vice president of the company’s New Business Group, where he was responsible for the overall technical direction and growth of the company. Earlier, Pitts held managerial positions at RJO Enterprises, EER Systems, and Ford Aerospace, where he served as a networking and technology consultant to area businesses and government organizations. Pitts holds a Master of Science degree in engineering management from The Johns Hopkins University and two bachelors’ degrees from the University of Maryland. 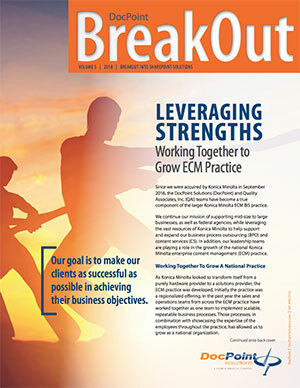 Michael Ratigan is the Vice President of Sales for DocPoint Solutions, an affiliate of Quality Associates Inc. (QAI). In this role, Ratigan is responsible for establishing and leading the business development team charged with growing DocPoint Solutions’ presence in the federal and civilian sectors. 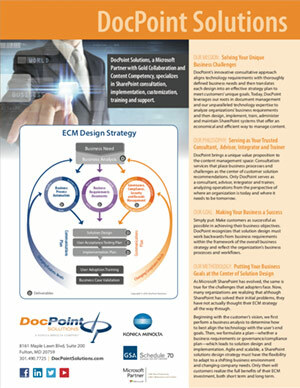 Notably, Ratigan was instrumental in conceptualizing DocPoint Solutions as an expert electronic content management (ECM) consulting firm that designs solutions based on an in-depth understanding of the organization’s business strategy. From this analysis, DocPoint Solutions customizes architecture design and implementation to optimize business objective achievement. Ratigan is an industry professional with almost 25 years of sales, marketing and business development experience. He joined Quality Associates in 2007 as a business development executive overseeing sales of document management services and solutions that allow government and private organizations to better manage, access and archive large amounts of information electronically. Before joining Quality Associates, Ratigan was an award-winning regional sales manager at SOURCECORP, a provider of outsourced business process solutions. Prior to that, Ratigan served as a regional manager at Context Media, a provider of ECM products and services to commercial and federal clients. Earlier, Ratigan held vice president positions at LearningStream and Bidnow.com. Ratigan holds a Bachelor of Arts degree in communications from the University of Maryland. Scott Money is the Director of Technology and Solutions for DocPoint Solutions. In this role, Money overseas all aspects of information technology management and control, including staff development and supervision, budget preparation and management, resource management, and strategic IT planning and acquisition. With a focus on customer relationship management, Money ensures the on-time and within-budget delivery of DocPoint’s largest, most complex, and most strategic projects. With more than 25 years of experience in IT infrastructure, project management, and systems integration, Money has been with DocPoint since its inception in 2008. As a Systems Analyst/Engineer, Money led SharePoint migrations and implementations from start to finish, while performing technical needs analyses, systems integration and user training. In addition, Money worked for Quality Associates, Inc. (QAI), DocPoint’s affiliate, for nine years. Originally tasked with maintaining QAI’s internal IT infrastructure, Money went on to serve the position of Project Manager/Systems Engineer where he managed all systems integration efforts, from sales to implementation to maintenance. His experience with QAI made him a natural fit to assume a simultaneous, similar role with DocPoint. 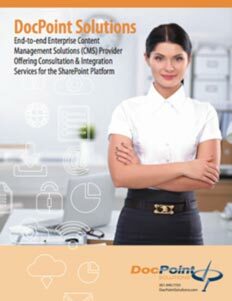 Money is certified in SharePoint 2010 & 2013, and is a CDIA+.